Now 8 months into our Hump Day is Help Day program, Keller Bros. has been proudly donating $5 from every oil change we perform on Wednesdays and Thursdays to an honored charity each month. We’re committed to Fueling our Community – not only with reliable car care and repair, but by supporting the local groups and organizations that provide food for those in need. And that includes dogs. For the month of June, we’re devoting our mid-week “help days” to Denver Dachshund Rescue and Transport. All of the funds raised will go towards purchasing dog food for the dachshunds in need. Years ago, Jamie Roberson received a phone call that would change her life. A friend asked for help with a dog a neighbor no longer wanted. When she picked up the small dachshund, it was shaking from fear and hunger. This is when the fire began. The drive to try to help stop so many enduring needless pain and suffering. For years I helped where I could, but it was never enough to make a difference. Too many die in shelters and ditches unwanted, alone and afraid. That’s when she decided to do something more and created Denver Dachshunds Rescue and Transport. In the years since, the organization has helped nearly 500 dogs in need. That number continues to grow to this day, with more dogs finding their way into loving arms and families of their own. 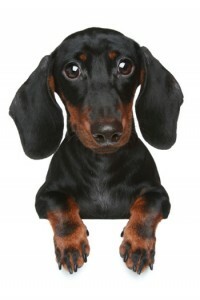 Denver Dachshund Rescue and Transport helps dogs in need in Littleton, South Metro, Colorado, and across the country. For the dogs they rescue, as well as ones supported through the Neighbors Helping Neighbors program, one big concern is always providing enough food for the dog to stay healthy and happy. Which is where Keller Bros. steps in to help – with our donation program, Hump Day is Help Day, we’ll donate $5 from every full price oil change performed on Wednesdays and Thursdays in June to purchase dog food for Denver Dachshund Rescue and Transport! And for those who wish to help further, we’re kicking off a new Hump Day is Help Day Raffle to raise even more! All money raised through raffle ticket sales goes straight to the dogs in need. And at the end of the month, one lucky winner will receive a $100 gift certificate to Keller Bros.
We hope to see you this month to help support the dogs at Denver Dachshund Rescue and Transport. Learn more, schedule an appointment, or find out how you can help by calling 303-347-1010.